The Bucks are back on track with a big buy sign here. The 76ers are in a major letdown mode, likely minus two key players and caught in a terrible spot. The result should be a Milwaukee blowout. Philadelphia upset the Clippers, 121-110, at home on Tuesday night. The 76ers achieved this minus their two best big men, injured Joel Embiid and Jahlil Okafor. It was just the third time in 13 games the 76ers won without Embiid, who easily is their best player and probable rookie of the year. Embiid has been ruled out here due to knee soreness. Okafor also has knee soreness. He’s questionable. Nerlens Noel stepped up big-time for the 76ers in the victory against the Clippers. He played a season-high 29:16, though, and his effectiveness could be greatly reduced playing without rest. This marks the 76ers’ fourth game in six days and second in two nights. Philadelphia is 3-8 ATS the last 11 times when playing without rest. The 76ers have played four times this season without rest following a home victory. They lost all four times with the average losing margin being 19 1/2 points. It’s a monster letdown spot for Philadelphia. Not only did the 76ers just beat the Clippers at home, but their next game is home against the Rockets on Friday. That marquee matchup is sure to draw a nice crowd. The 76ers are greatly improved, but they are very young. It’s going to be difficult for them to be fully focused and motivated for this game. The flip side of this handicap is backing the Bucks. Milwaukee also has a lot of youth. The Bucks have been up and down, but are talented, can score in the paint and have a stronger bench than the 76ers. They also have a winning spread record at home. 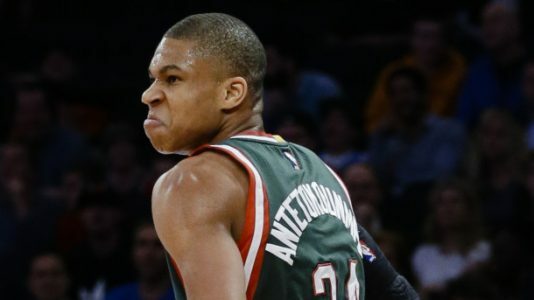 The Bucks returned to Milwaukee from a disappointing 0-3 road trip to smack the Rockets, 127-114, on Monday. That restored needed confidence and should put the Bucks back in the right direction. Giannis Antetokounmpo has reached superstar status this year and a finally healthy Jabari Parker is playing well, too, exceeding 20 points in seven of his last 10 games. Milwaukee has a strong bench headed by center Greg Monroe. Malcolm Grogdon and Matthew Dellavedova give the Bucks an underrated point guard tandem and savvy veteran Jason Terry can still play. The Bucks’ bench superiority should eliminate any Philadelphia backdoor cover possibilities if the game gets out of hand early, which it very well could. The Bucks have owned the 76ers, too, winning nine of the past 10 in the series, covering seven of the 10.